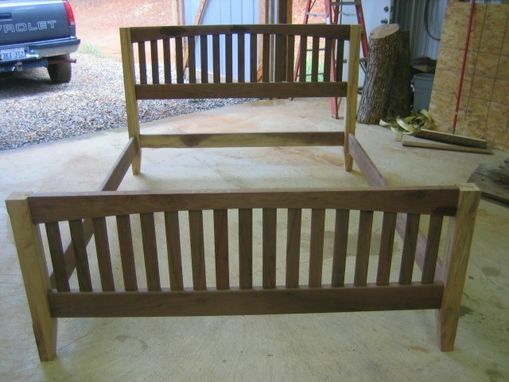 I made this bed frame for my daughter Sarah for her first apartment. 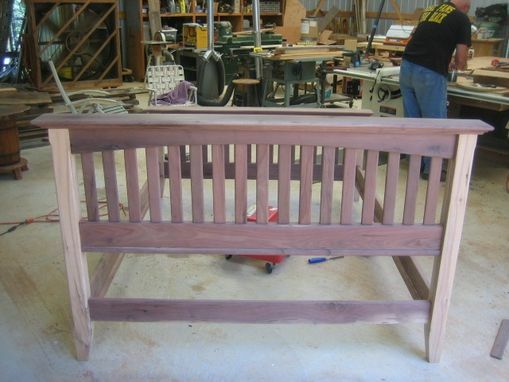 It is constructed from Black Walnut primarily with hickory as a secondary wood for the legs. 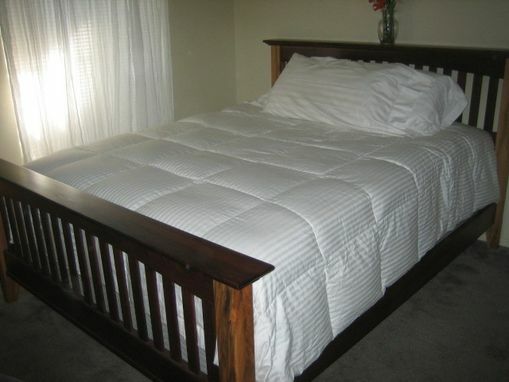 It is very sturdy and will give her many years of comfort. Hope you like it.